I hope everyone has been fine these days. 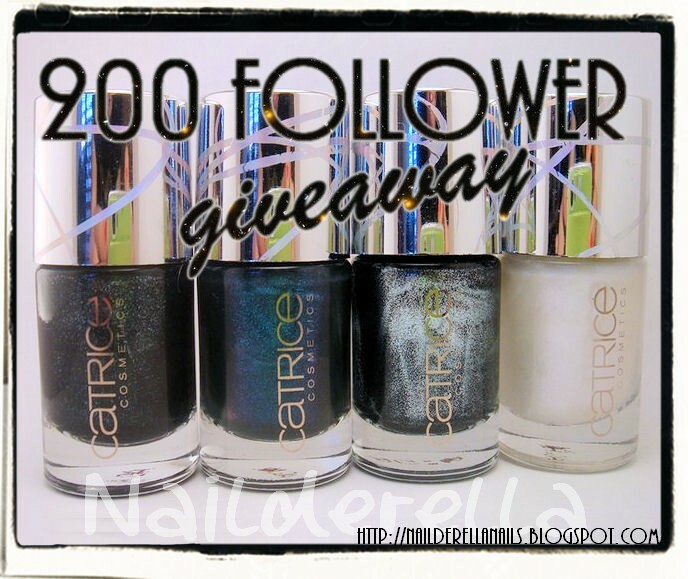 Today is a special day because the winner of my Catrice Out Of Space giveaway has been chosen! Congratulations to AnGeLiQuE who won these 4 polishes! I will be emailing you. Be sure to respond within 48h, please or another winner will be chosen. Once again, thank you to everyone who participated in this giveaway!There were 392 participants! And I've just noticed I've reached 500 followers...mm...should I be preparing something else....? Congratulations to AnGeLiQuE for winning the Polishes. And Congratulations Nailderella - Karine for reaching 500 followers!